Battle lines are being drawn up at the Argo Group Gold Cup, the penultimate regatta in the 2013 Alpari World Match Racing Tour, where Qualifying begins for the 20 teams on Hamilton Harbour tomorrow. In addition to the Alpari World Match Racing Tour card holders, the giant field sees some old faces returning to this prestigious event. 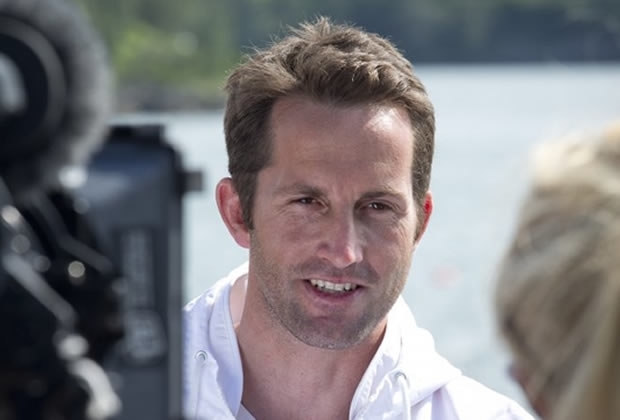 All eyes will be on Sir Ben Ainslie’s Ben Ainslie Racing Team, where the world’s most successful Olympic sailor of all time, recently part of Oracle Team USA’s turn around America’s Cup victory, has in his crew Artemis Racing CEO and three time Olympic medallist, Iain Percy. However other luminaries from the 34th America’s Cup will also be racing in Bermuda including Italian Francesco Bruni, here with a boat load of fellow Luna Rossa AC72 crewmen: Pierluigi de Felice, 49er Olympic medallist and Volvo Ocean Race sailor Xabi Fernandez and Nick Hutton. The two groups have been chosen for the Qualifying rounds. In Group 1 the favourites are 2012 Argo Group Gold Cup winner Taylor Canfield’s USone, Team Alpari FX skipper Adam Minoprio, Keith Swinton and Johnie Berntsson’s Stena Sailing Team, among the Tour Card holders, plus Francesco Bruni and Congressional Cup winner, Simone Ferrarese. Group 2 features Tour card holders, GAC Pindar skipper Ian Williams, the current Tour leader, plus Bjorn Hansen’s eWork Sailing Team, Phil Robertson’s WAKA Racing and Pierre-Antoine Morvan’s Vannes Agglo Sailing Team. It also features Ben Ainslie and Mathieu Richard’s GEFCO Match Racing Team. Also looking forward to racing getting underway tomorrow is Adam Minoprio, currently lying joint second overall in the Alpari World Match Racing Tour. The Kiwi skipper has previously scored two seconds, a third and a fifth at the Argo Group Gold Cup. Racing starts at 0900 local time. Bermuda Weather Service forecast is predicting windy conditions early in the week. A frontal passage later on Thursday will bring northerly winds to Bermuda. Thursday - Winds southwesterly 10 to 15 knots, veering northwesterly 8 to 12 knots later..